Wonderful textured polo shirts feature stitched-on twill letters with pearls and rubies embroidered within. Sorority name and founding year are embroidered around the Sigma. Unique and very pretty! 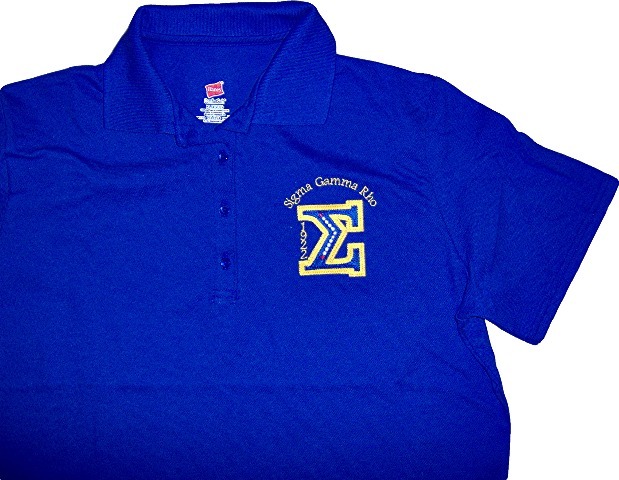 Ladies polos run a bit smaller than regular sizing, please order accordingly.